How to face the uncertainty? By having a look around you, by reading newspapers about several subjects, you can note that uncertainty is increasing, and that we have to face it more and more. When we think closer to that subject, we can wonder ourselves if there are still certainties. You never know what can happen tomorrow with your health, with your job, with many things. There are different types of uncertainties. There are things happening by coincidence, and things we can more or less predict but we can not say if these things will happen or not. To make predictions becomes more and more difficult, because things are changing faster than before. What was true yesterday is not true anymore today, and it is hard to make predictions on a long term basis. 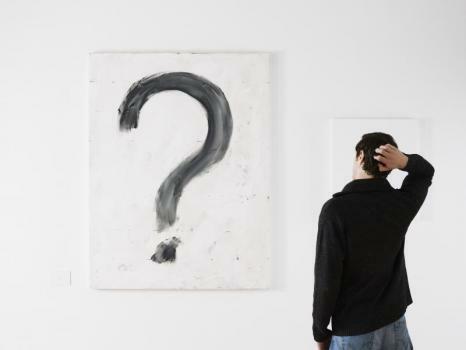 We can talk about uncertainty in different areas, but here, let us talk about the daily uncertainties we have to face in our job or in our business environment. Uncertainty can impact positively or negatively our career or business perspectives. Another question is to know how are we facing uncertainty. And we can note that for some people, uncertainty is something there are scared about, but for other people, it is a source of motivation, giving them a lot of energy. Is it something impossible to be able to face uncertainty? Certainly not, but as in many things, in many goals you want to reach, you can implement different strategies, in function of the constraints and the circumstances. As in each problem, you can find a solution, if you decide to take care of it. The first point is to face the uncertainty. By burying your head in the sand like an ostrich, you will certainly be heading straight for disaster. You need first to analyze and understand the source of uncertainty, determine the potential issues and what are the different alternatives you can develop to solve the issue, what are the solutions that will help you to maximize your chance to succeed by facing uncertainty. It is important to be ready all the time, and not to think about things when you only need them. With other words, I could say that uncertainty is probably something which can make avoid putting you in danger. A too comfortable situation makes you falling in a routine, where you don’t see the necessity to make efforts, to improve yourself, and when you perceive a danger, when an issue appears, it is most of the time to late to take action in order to escape to the troubles. You can decrease uncertainty by maximizing the potential opportunities. But as mentions Philippe Gabilliet, a French professor in leadership of a MBA school, in order to attract the opportunities to you, you have to be an opportunity yourself. To be an opportunity, you have to offer added value, to be an expert or to offer a bundle of competences, to be able to show proven experiences, and to show a fair attitude. By optimizing these assets and by building a good network, you can maximize your chance to have opportunities. Don’t forget also that most the time, you get once an opportunity, not twice. Each opportunity can bring a lot of lessons, reveal new interests and capabilities. Each opportunity can contribute to improve our knowledge base, to improve skills. By expanding your skills, your knowledge, by having a curious mind, you maximize the potential opportunities you can face, and you can profile new career or business perspectives. By maximizing our chance to be able to face new opportunities, we become more self-confident, and we can face the uncertainty on a confident way. To be able to face uncertainty implies also to have margins. As mentioned before, by improve our capabilities and skills, contributing to increase our chance, we are creating us margins, allowing us to face uncertainty on a more confident way. The margins allow us to have the time and the possibility to develop different alternatives in order to get out of a difficult situation. Never forget also the material margin. For your business or for your own life, keep always financial margins. It is the challenge we have to face everyday. The key points to face uncertainty are anticipation and long-term view. I mentioned it is difficult to predict things on a long-term basis, but by analyzing different trends, you can develop and implement alternatives bringing long-term effects. Anticipation will allow you to have solutions before the problems occur, and you will be prepared to use the appropriate solution in function of the circumstances. And even you will probably find another solution than the one you prepared, because by pursuing such process, you become more creative, your mind is used to deal with that. I could summarize this topic as follow. Imagine you are falling into the water. You will probably be scared if you cannot swim. If you are facing the problem, you will be convinced that you have no other choice to swim. Your natural reflex will be to try to swim, or at least, to try to keep the head out of water. But before to be confronted to such problem, learn to swim. It is important also to be trained on a regular basis in order to improve your endurance. If after this, you should fall into the water, you will not be scared, because you are trained to face the situation. And if you are a bad swimmer, and you suspect that there is a possibility to fall into the water, think about another solution: take a lifebelt with you! 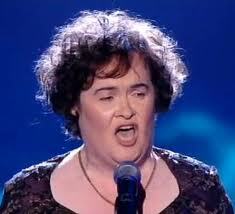 Susan Boyle, she dreamed the dream..and the dream became reality. Few days ago, I was reading this nice quote: You are never too old to set another goal or to dream a new dream. It made me think that often, we heard people telling the opposite. I am too old to do this or this. Is the reason of such thought the consequence of the way our society is considering life, and making believe us that there is only this way to see life? The most common way to see life, is a life divided in three parts: the time we are going to school, the time we are working, and the time we are retired. The society try to make us believe that at a certain time, our life is changing and that at a certain moment, we have to change our activities, we can do certain things and we can not do other things anymore. It is of course, a good idea to change, to move to new activities, but age has not to be the reason of this, but our motivation to move to another goal. Mark Twain said: “Age is a question of mind. If you don’t mind, it doesn’t matter.” . I was remembering that quote, when somebody talked me about a person she was following on Twitter who was 92 years old. I had a look to her profile, and I liked the comment she put on her profile: “I am 92 years..young!” . What wonderful words, but what an example also to prove it is never to late to discover new things, and in the present case, to use social medias and technologies. As I mentioned earlier, age is not the criteria to do an activity, but the motivation. The motivation is driven by goals. I already mentioned that point at several times in previous postings: we need always to have a goal. 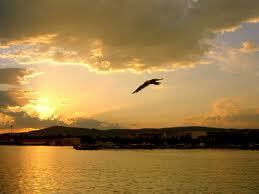 By having successive goals in your live, you put another dimension in your life. You do not build your life in three part, I mean school, work and retirement, but you build your life as a range of goals, initiating life projects. You do not see life anymore as a linear process, but as the way taken by a sailing boat, determined by the winds and the tides. The winds and the tides are here your feelings, your inspiration, your wish to face new challenges, to find new passions. You do not switch from school to work and to retirement, you move from an activity to another. And by having activities, goals, you become the actor of your own life. It is never too late to start new projects and you can read some testimonials about people who moved from an activity to another, in their professional or in their private life. Most of them learned a lot of such experience, discovered new interests and hide talents. I remember a manager of an important group of supermarket in Belgium who left the company when he was 55 years old and started studies in philosophy. He did a PhD, and was telling in a magazine that he would have regrets if he had not move to this new life. It was of course a change in his life, he did not earn the money he was earning before, but the satisfaction was there, and it was the most important to his eyes. Lets talk about Susan Boyle, this English woman who started a singer career after participating to the television broadcast “Britain’s Got Talent”. The song she song was named “I dreamed the dream”. She realized it. By acquiring knowledge and competences by moving to new activities, by using and developing a curious mind, by trying to more your limit foreward, you open new doors, doors to your freedom. As mentioned before, you build a non-linear life, because you build different projects, but you build also good memories. These projects, these memories are monotony breakers. You have the feeling to have a rich life, and a feeling of wellness to see all the achievements you did. A key factor is of course a good health. Some studies showed that people having activities were in better psychical and physical health. And even if you are not in a perfect health condition, you have always the choice to do things following your own rhythm and capabilities. As member of the board of a small non-profit organization, I often meet people investing their time as volunteer. This activity is important for these people. Some of them, can face difficult time in their life, and such activity allows them to have social contacts, to have not the feeling to be alone. They have a positive feeling by doing something useful and rewarding. It is never to late to start a new project or to dream to another dream. Our world is moving, we can continue to move with the times, and so, to stay actors of our society, of our environment. We can continue to interact with other people through several projects, several dreams. We can not imagine a society without group of people sharing same interests. Each of us, we have to stay actors, actors of the society, but first the actors of our own life. It is probably what makes the difference between to be and to exist.